Contextual editorial video content dramatically increasing a consumer’s engagement and recollection of video advertising on a web page, according to new research. The findings, from technology firm video intelligence, show an increase in dwell time by a third and improves user perception of publisher platforms by 9%. The study, commissioned by video intelligence and conducted by Lumen Research, asked 200 consumers to share opinions on commercial and editorial content on an entertainment site, looking at engagement, dwell time and perception – both with and without contextual content. Respondents were invited to download Lumen’s software onto their laptop computers, which temporarily turns their computer’s webcam into an eye tracking camera. The participants eye movements were monitored to understand what they looked at – and what they ignored. The findings showed an overwhelmingly positive reaction from when users are presented with contextual video content instead of standard advertising, or out-of-context video. Contextual content was shown to increase dwell time on the page by 33% – from 33 seconds to 47. The placement of video intelligence contextual content also saw an increase in the attention users paid to accompanying advertising, with 71% of respondents engaging with pre-roll video when viewed alongside contextual content, compared to just 50% when viewed without. Recollection of pre-roll was also increased as a result of the page featuring coherent contextual content. 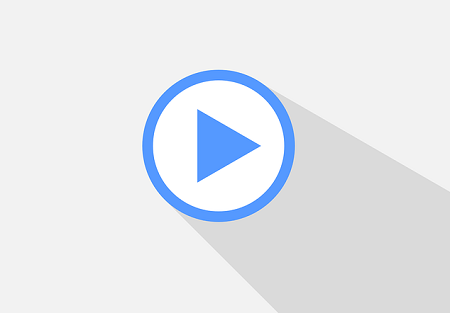 Perception of publisher sites is improved with contextual video as a result of increased attention and engagement with content across the page. 85% of respondents described the page as engaging when viewed with contextual video (78% without), and 80% thought the entertainment site had ‘was enjoyable to browse’ when viewed with contextual video (69% without). vi stories allows publishers to embed a native video player on their platform that matches the look, style and design of their app or website. A natural language machine learning algorithm, powered by IBM Watson, finds and serves editorial video based on its analysis of the page content. Content is sourced from a vast and continually updating video library, containing clips from outlets like ITN, Bonnier and Euronews. The product aims to create highly engaging experiences for users and increase the time they spend on the site, creating greater monetisation opportunities on publisher platforms. vi stories inserts advertising within the player, allowing advertisers to target engaged viewers with audience-appropriate branded content in a native media environment. The research saw participants read an article on an entertainment website about the Oscars, half with contextually relevant video content and half without. The same ad for M&Ms ran before both videos. Having read the article and had the chance to watch the video, respondents were asked to complete a short questionnaire to assess their recall and perception of the ads they had seen and their perceptions of the publisher site. The respondents were paid for their time, and the software deleted from their machines as soon as the test was completed.